Colleagues, welcome to the September blog, which should provide you with an update on what the National Executive is involved with on your behalf. Once again, we have all experienced a very busy month especially in relation to events policing across the country: Notting Hill Carnival, Creamfields and the start of the football season, to name a few. This time of year and these types of events are not only resource intensive but are occasions which attract public scrutiny. Nonetheless as experienced year after year you have received nothing but positive reports about how well you have policed these events. We would like to thank all our colleagues who were involved in policing these large events over the summer holidays. Your hard work, professionalism, self-motivation and commitment to delivering an excellent policing service is a credit to you all. Well done. Following on from last month's speculation and media coverage about the integration of BTP Scotland into Police Scotland we finally heard from the new Cabinet Secretary for Justice Humza Yousaf MSP. He confirmed full integration would be paused due to several issues especially around ICT and public safety and new advice received from Police Scotland. His priority is to explore other options to achieve devolution of railway policing in Scotland. We welcomed this news but remain concerned about the continuing uncertainty for all in BTP Scotland. At the beginning of this month, the Justice Secretary answered questions on the decision from MSP's at the Scottish Parliament. After three years of uncertainty, three years without a business case, three years spending in the region of £4 million pounds and around £700,000 spent on consultants, certain Ministers have finally acknowledged the complexities and difficulties of delivering full integration. Therefore, I'm sure no one is surprised to hear that I am stunned by the news that it still is the aim of the Scottish Government to deliver full integration. Earlier this week the Justice Secretary gave evidence to the Scottish Justice Committee. I would like to place on record my thanks to him for his words of appreciation for BTP and Police Scotland officers and staff. This public show of appreciation is not something police officers often receive, so it was pleasing that Mr Yousaf took the opportunity to make such a statement. He again confirmed that all work on full integration has been paused and the priority is to look at an interim option to deliver railway policing in Scotland in line with the recommendations of the Smith Commission. You can watch the session again here. In summary, Mr Yousaf stated that he intends to meet and consult with all stakeholders including the Federation, to discuss potential options. He intends to report back to the Justice Committee prior to the December recess on a range of proposals and a timeline for delivering the preferred option. He also suggested if the interim option achieved the principles of devolution, addressed the deficit of accountability and universally satisfied the Scottish Government then the requirement for full integration would be reviewed and possibly halted. This is positive, but time is of the essence and our officers cannot continue to live under a cloud of uncertainty, not knowing what the future holds for them. Furthermore, BTP cannot tread water while continuing to meet the demands of delivering a policing service across Britain. Clearly, we will work with stakeholders to achieve the principles of devolution, but I will continue to question the viability of full integration, and will petition that it is taken off the negotiating table and the poorly written legislation repealed. We will invite BTP/A to focus on Scotland and to provide that extra investment and development opportunities to assist our people to do what they do best across the railway. I will encourage Ministers, civil servants and other stakeholders to ensure that the interim measures to address accountability are detailed, evidence-based and fully costed, and urge them to support BTP by investing in and developing railway policing in Scotland. Business in Scotland needs to get back to normal and our frontline officers should have the confidence to focus on their vocation of delivering an exceptional policing service. Throughout this process and as recently as this week I have heard comments about the work of BTP that worry me, in so much as they suggest some individuals charged with making decisions about our force's future don't fully understand BTP's role or impact. BTP is accountable not only to Department for Transport, the Transport Minister in Scotland and the Welsh assembly, but also to HMICS, the Office of the Rail Regulator, the Rail Delivery Group, the Rail Accident Investigation Branch, the IOPC/PIRC, Train Operating Companies, Network Rail and most importantly the travelling public. There is more scrutiny and accountability of BTP than many other police forces. Suggestions that if Police Scotland were to eventually police the railways there could be potential savings from the current cost of £21 million and the merger would enhance the current level of service were also repeated. We feel this is misleading and simply not quantified in anyway. Part of the cost associated with policing the railway in Scotland is for central services such as CID and other specialisms, and support services. These would have to be provided by Police Scotland; anything less will go against the undertaking by Ministers that they will replicate exactly what is currently in place. There will be no savings and if anything, it could cost more for Police Scotland due to abstraction from their current commitments within Scotland. There is also an ongoing reluctance to advise Ministers and others on the potential for additional costs relating to prospective redundancies and (remembering our employee status) pension liabilities which have been valued between £45 million to £100 million. Such costs seem to be absent from most agendas. In summary, we welcome the Justice Secretary's brave decision to pause full integration and willingness to engage with stakeholders. This is the time to ensure that the full facts are well known and understood by all so a viable option can be delivered to the satisfaction of everyone. We must encourage the advisors, consultants and civil servants to finally start listening to the experts and that those experts are given a fair and proper consultation process to aid and assist in delivering a devolved railway policing service. Our next NNM is on 4 October where we will continue to discuss this year's pay rise. We have received few updates on the pay rise although the Chief Constable has previously reassured us that this year the negotiations will not be dragged out and an early decision will be reached. Well, we are moving into October and still we see no sign of a decision. Darren Townsend our General Secretary is writing to the BTP Authority to seek clarity on this matter. 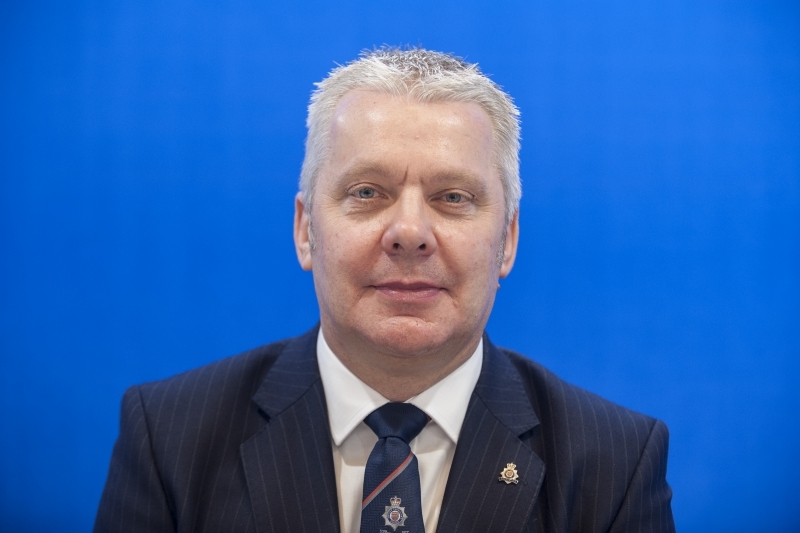 You may recollect that Steve Lewis from the Pennine West area committee submitted a paper to the DCC regarding the Job-Related Fitness Test, recommending it be separated from the Police Officer Safety Training to prevent officers being unnecessarily placed on Temporary Duty Restrictions. The submission was to encourage the Force to allow officers to still be allowed to conduct their personal safety training (PST), even if they have failed to pass the fitness test, enabling officers to retain their certification and allowing managers to deploy officers when needed rather than managing abstractions for TDR. This paper was presented to the Force Executive Board and the Chief Constable and the Executive declined the paper. Obviously, we are disappointed with the Force's approach to having able-bodied police officers sitting behind desks simply because they failed to pass the fitness test. We view this as neither efficient nor cost-effective and it is demoralising for our officers. We will continue to raise our concerns. As reported previously the proposed Limited Duties Policy is very close to being finalised. We are still not in agreement on the "X" Factor aspect and the policy has been returned to COG for further consultation and for further legal advice to be obtained (the legal advice that Federation have already submitted has not been accepted). Finally, we have raised concerns regarding the current standard of the uniform, having received numerous complaints regarding poor quality of shirts, fleeces and trousers. We are reassured that the Chief Constable has re-introduced the clothing committee and one of our Federation Representatives will sit on the committee reporting the concerns and complaints that we receive. This is a positive move by the Force which has, in recent years, rested on their laurels regarding our uniform. We are also seeking to convince the Force that all officers should be issued with full waterproofs, which we are told is no longer the case. Hopefully with certain operations on the horizon the force will commit to addressing these concerns and issue the necessary quality items of uniform. To coin a BTP phrase, we need to remove "hindrance stressors" to assist our officers and poor-quality uniform is definitely a hindrance stressor. In other business we have heard of the departure of Charlotte Vitty, the CEO of BTP Authority. We were saddened by this news and wish Charlotte and her family all the very best for the future. Charlotte was a great advocate for BTP, she supported many officers and staff and one of her main attributes was the fact that she took time to listen. She wouldn't hesitate to tell you if you were on the wrong track (excuse the pun) but she would provide her full support with vigor and commitment if she thought it was the right thing to do. I will take this opportunity to thank Charlotte for all her hard work and commitment to BTP. In Charlotte's term of office, we felt we were finally witnessing some form of stability within the Authority. Unfortunately, we again see another major change of personnel and that inevitably impacts on the visibility of the employer, which in turn influences the level of confidence in our people. We would encourage the Authority to endeavor to bring about continuity, to ensure the future investment and commitment of BTP, and to build on the work of engagement with officers and staff throughout the force. Lastly, we are starting to plan for our annual conference which takes place in March. Part of that planning is for our "Awards of Excellence" where we pay recognition to the excellent work of our members. Last week we circulated a nomination form and I would encourage you all to nominate colleague you feel meet the criteria and deserve recognition. The awards evening is a proud occasion when we showcase some of the best in BTP, but the success depends on you the members. Not everyone nominated can be recognised and we have a panel of Federation reps from across the Force who will agree the final winners. The closing date for submitting nominations is 12 October so don't delay. Thank you again for reading this month's blog. I hope it is informative and if you have any questions or concerns please do not hesitate to contact your local representatives. "Success means doing the best we can with what we have. Success is the doing, not the getting; in the trying, not the triumph. Success is a personal standard, reaching for the highest that is in us, becoming all that we can be".